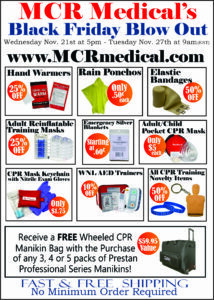 MCR Medical Blog » Black Friday/Cyber Monday Sale!!!! Previous Previous post: Hand Warmers, Blankets and Sleeping Bags are Here! Next Next post: DOOR BUSTER SALE! !